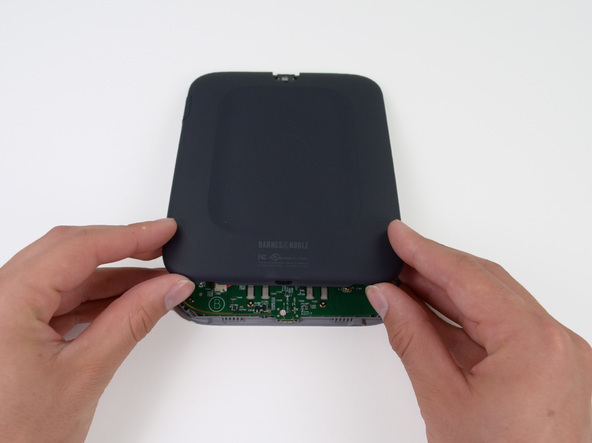 Use this detailed step-by-step repair guide to help you replace the B01PQIL Battery in a Barnes & Noble Nook Glowlight BNRV500. Using one of the plastic opening tools, gently pop off the power button at the top. Underneath there is a tamper proof sticker which will need to be removed (PLEASE READ: This step will void your one-year limited warranty. 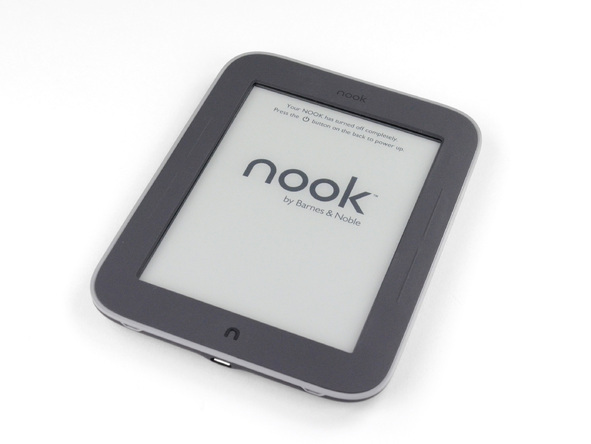 If your nook is still within its one-year warranty period we would strongly recommend first contacting the manufacturer as you may be eligible for a free replacement). 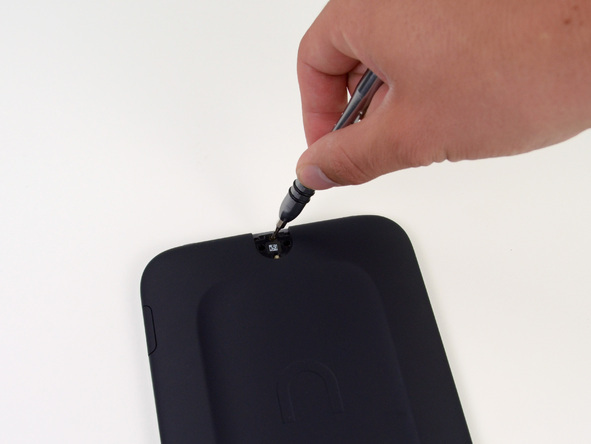 Using a plastic opening tool, lift up on the power button sensor underneath the sticker to expose the screw. Locate and remove the screw using the T5 screwdriver. Use your hands to slide the rear panel down to free it. 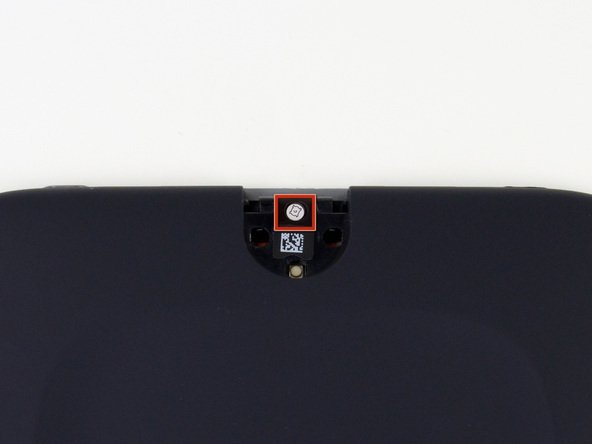 Be careful not to pull too hard at this step as the battery is still connected to the board and the two halves are not able to separate yet. Slowly pull the back casing away and you should see the cable attaching the battery to the board, again, be careful to not separate by pulling too hard at this step as it could cause damage. 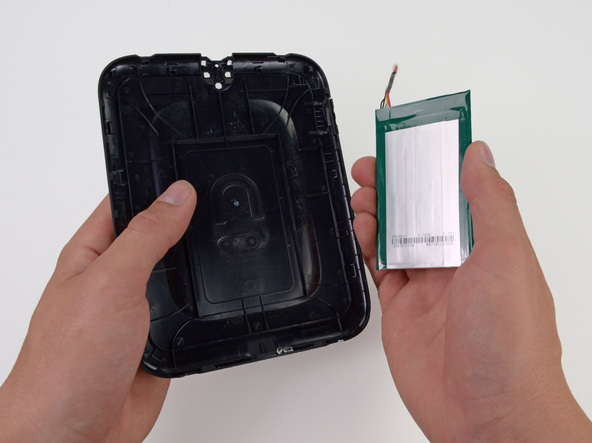 Use a plastic opening tool to disconnect the battery from the board by gently pulling the white connector. After this is done you will have the nook separated into two pieces (front and back). 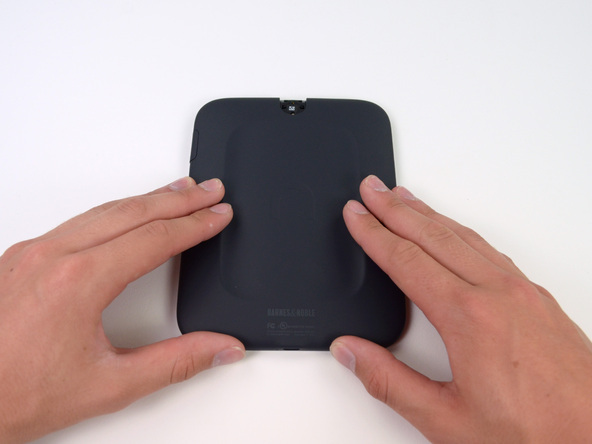 The battery is held in place with heavy duty tape, use a plastic opening tool to gently pry around and lift up on the battery until you can easily remove it from the case.